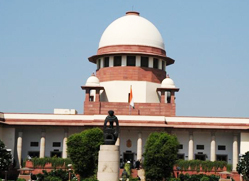 THE SUPREME Court has said that the confession made by an accused under provision of The Terrorist and Disruptive Activities (Prevention) Act, 1987, can be relied upon for conviction under other provisions of the law even though the accused is acquitted of the charges of anti-terror law. The apex court upheld the order of a Tada court of Gujarat which had convicted the accused on the basis of their confessions made under Section 15 of TADA Act under provisions of IPC and other statues though they were acquitted of the charges of anti-terror law. They were found guilty of killing Rauf Valiullah, who had prepared a memorandum to be submitted to the central government to expose criminal-political nexus in the state.